A friend, Sarah from Texas, commented recently on a book which is sitting on my Shelfari Book Shelf at the side of this page, The Constant Princess by Phillipa Gregory, a novel about the life of Anne of Cleves. I have read most of Phillapa Gregory's historical novels and have to agree with Sarah that this is one of her best. Today I added two new titles to my book shelf, "In the Garden of Good & Evil" by John Berendt and "More Than Mercer House: Savannah's Jim Williams & His Southern Houses". I'm sure some of you will have heard about "the Savannah book" even if you haven't yet read it, and if you are considering attending the QCI meeting in 2010 then you must read this book!! an antiques dealer who saved and restored over 50 houses in a career that began when he was 24 and which spanned 30 years. He is however, best known as the only person in the state of Georgia ever to be tried four times for the same crime - the alleged murder on May 2, 1981 of his assistant, Danny Lewis Hansford, in Williams's home, Mercer House. Jim Williams was finally acquitted of the charge and continued to live at Mercer House until his death on January 14, 1990. Construction on Mercer House, situated on Monterey Square one of Savannah's prettiest, was begun in 1860 by General Hugh Weedon Mercer the great grandfather of the songwriter Johnny Mercer. After the Civil War, circa 1868 the house was completed by it's new owner John Wilder. We were lucky to have been able to tour the Mercer Williams House, as it is now known and it is an absolute jewel of a house. On the cover of Berendt's book is a picture of "The Bird Girl" statue which once resided in Bonaventure Cemetery but can now be seen in the Owens-Thomas House, a part of the Telfair Museum of Art in Savannah. Spring has finally sprung here in Normandy with all sorts of countryside happenings this week. Firstly, the bats, which are an endangered species and so must be left in peace, arrived back to take up residence in the loft over the garage. They are sharing roof space with the house martins who got here earlier this month. They seem to have recovered from their long trip up from Africa and are busy building nests up in the beams and pooping over everything beneath! Yesterday afternoon the cows came home! Yes, the heifers are back in the field next door and are relishing the open spaces and deep lush grass to eat. News from the potager..................the blueberry bushes have forgiven me for transplanting them from the large pots they were in last year and are thriving. I added 4 new plants alongside for variety. Potatoes & onions are already showing green leaves & shoots above ground and I have planted 2 rows of green haricot beans and one row of yellow. The ornamental pink cherry tree in the front garden is out in full glory and the purple wisteria is about to pop. Speaking of blossom all our fruit trees have masses this year so I'm hoping for a good harvest of plums, damsons, apples and pears. This month I have also been busy creating scrap book lay outs and entering them into the various challenges over at YMBD. The design team always come up with such great ideas and I love interpreting the sketches & LO's and incorporating my own pix and ideas. 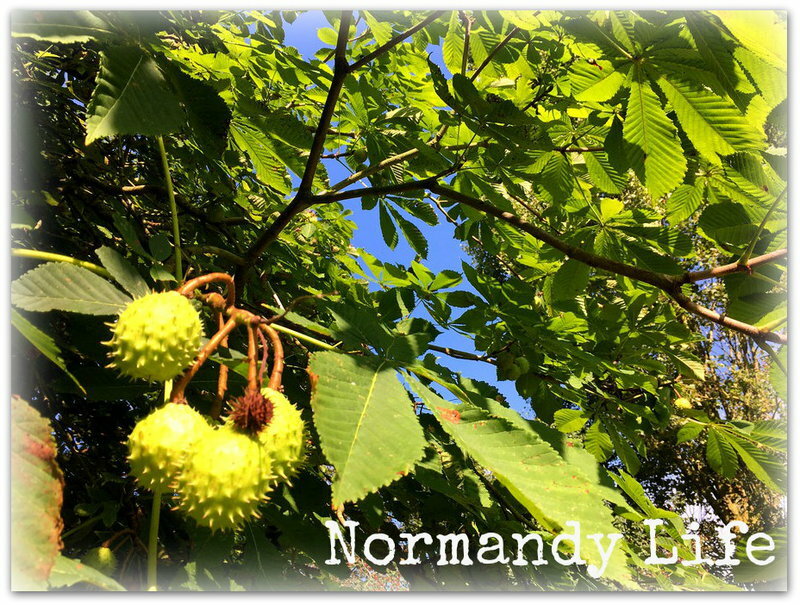 Too many photos to include in this post so I've created a slideshow, look over to the right hand side of the page and check out Normandy Living for yourself. Mighty Eighth Air Force Museum, Savannah, GA.
During our trip to the US last month we visited the Mighty Eighth Air Force Museum located in Poller, GA. just minutes from downtown Savannah. The Museum tells a compelling story of sacrifice, commitment and patriotism through exhibits entitled "Prelude to War", "Battle of Britain", "From Savannah to the UK" and the "Honoring of the Eighth Gallery". "The Mighty Eighth Air Force Museum preserves for all Americans the stories of courage, character and patriotism displayed by the men & women of the Eighth Air Force from World War II to the present. It's vision is to sustain our cultural heritage, support lifelong character education, and to be a center of Community engagement." We certainly hope that we will be able to incorporate a visit to this great Museum during the Club's visit to Savannah. Just heard about a brand new scrapbooking social website that Cat over at YMBD and her husband Hugh have created so that we can talk even more about scrapbooking!! One of the challenges over at YMBD this month was to create a LO using at least one product from the YMBD range. Well, as you can see I was spoilt for choice when scrapping this page which shows Roger playing chess on the deck of the Maine Windjammer the J&E Riggin whilst enjoying our vacation in June 2000. Wow, the weeks since I last blogged have really flown by. In March we had a wonderful time in Hilton Head SC, relaxing and visiting Savannah GA with friends Nina & Tom. We met with Hotel representatives keen for us to hold the 2010 QCI annual meeting with them, negotiations are ongoing but we hope to have them wrapped up soon. A week later we roamed Savannah, once again, as tourists this time with Texan friends Susan & John who had never been to the South before. For any QCI members, who follow this blog, here are some pix to whet your appetite and as TV Chef & Savannah entrepreneur Paula Deen says "Put some South in your mouth"! !